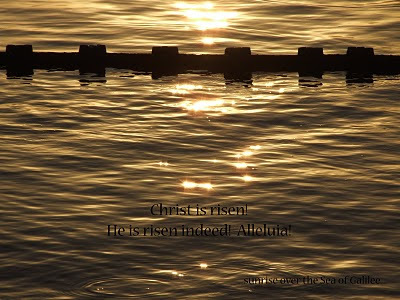 We’re still in the Season of Easter, the season of reflecting on the resurrection encounters. One such account is found in John 21, and this account illustrates the process of leading and following. Before his death, Jesus appointed Simon Peter as leader within the group of disciples, the one on whom Jesus would build his church. So Simon Peter is the leader here, and he decides that he is going to do something: he is going to go out to fish. He announces his plan to six others, and they agree to go with him. Here we have a small illustration of the first stage of leadership: one person decides to do something, and a group of others agree to go with them, with their decision - to be led. They fish all night out on the lake, and catch nothing. Here we have a small illustration of the second stage of leadership: being in the boat with those you lead, when nothing is going to plan; not looking for a way out, another new decision; but encouraging, reminding those who have followed what it was they followed for, being with them through the night of hard work for no return; holding out vision, and grace. The story continues. 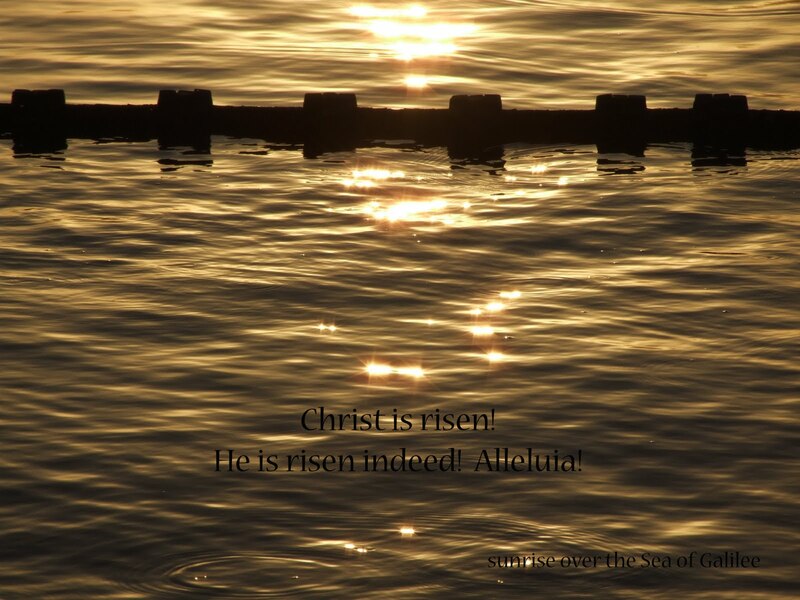 Dawn breaks, and Jesus is stood on the shore. He directs them to throw their net on the right side of the boat, and they are unable to haul it in because it was so full of fish. And Simon Peter jumps out of the boat, and swims ashore. Here we have a small illustration of the third stage of leadership: get out of the boat and let others take on responsibility; but don’t abandon them – return, to help them process what they have done. We also see a key lesson in relation to moving from the second to the third stage: while the leader must get alongside those they lead in the second stage – and this is the time when loyalty is won – the thing that will bring people out of that stage is external to the ability of the leader. In short, the move out from hard work for no return into breakthrough takes place when something happens that is a miracle; when the kingdom of heaven breaks in to our experience. Jesus serves up breakfast, and then he takes Simon Peter for a one-to-one chat. 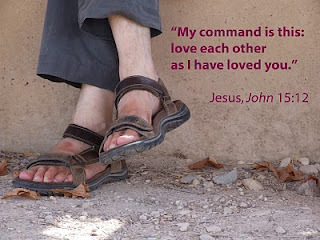 Jesus, as Simon Peter’s leader moves from the third stage, to the fourth stage: he hands over his life-work to Simon Peter, and moves on to a new role (sitting at the right hand of our Father in heaven, interceding for us). But we also see a small illustration of the fourth stage of leadership in Simon Peter’s relationship with John, who has followed them along the beach at a distance: where God calls someone we lead on, to lead in their own right, we need to release them; to not compare ourselves against them, either favourably (with pride) or unfavourably (with jealousy). Which shape is primary at each stage? What character issues and skills issues need to be addressed at each stage (building on the previous stage)? These reflections are very much a work in progress! Feed-back welcome. Character issues: am I living in the power of the Spirit? am I dying to success? can I take risks? Skills issues: are those I am discipling turning into effective leaders? Character issues: am I willing to go round the square again myself, in order to grow? Skills issues: how easy do I find it to lead leaders who are/whose groups are at different stages of the square? Character issues: am I using my role as an excuse for character flaws? am I growing into my calling? am I being mentored in relation to my role? Skills issues: am I developing role-specific skills? Character issues: am I willing to go through each stage myself (birth of vision; death of vision; resurrection multiplication of vision; handing-on of vision to others)? am I willing to lead others through each stage? where do I tend to retreat, or stall, and am I addressing why? Skills issues: do I lead others through L1/D1, L2/D2, L3/D3, and L4/D4? how do I compensate for my weakness? do I find it easy to multiply groups? 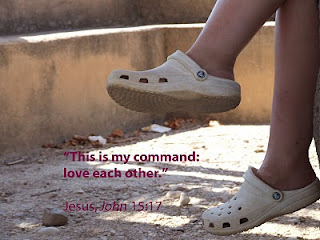 Character issues: can I work with others who have a different role and God-given personality? how are my relationships? Skills issues: am I able to identify my role, as apostle, prophet, evangelist, pastor or teacher? how are my weaknesses compensated by the strengths of others? am I able to help others begin to identify their role? Character issues: am I living in a state of peace? do I pursue intimacy with God? am I growing in my faith? is my life bearing fruit? am I willing to be pruned, in areas of unfruitfulness and areas of fruitfulness, in order to become more fruitful? Skills issues: can I identify the shifts from abiding to growing to bearing fruit to being pruned back to abiding again? How easy do I find it to help those I lead identify these shifts in their own lives? UP – do I pursue intimacy with God? what is on my heart for intercession? 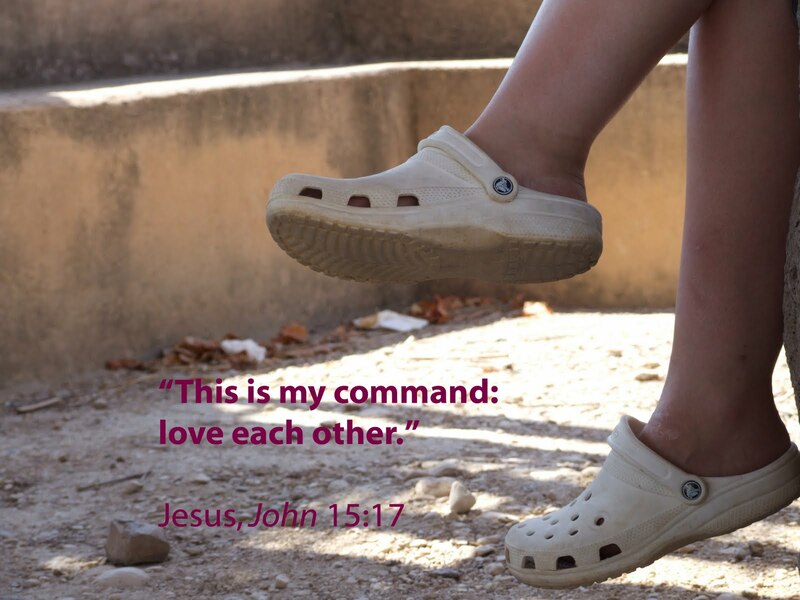 IN – do I love those I lead? am I flexible? am I making myself appropriately vulnerable to others? is my family happy? am I sleeping/eating/resting well? 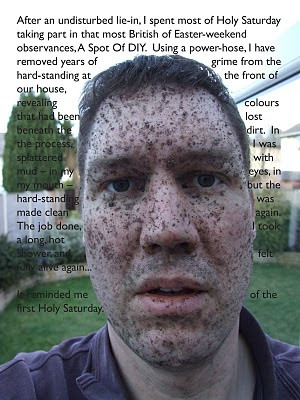 OUT – do I make time for relationships with non-Christians? UP – how easy do I find it to hear direction from God? am I helping those I lead to discover how to express their relationship with God appropriately to their God-given personality and the season of life they are in? 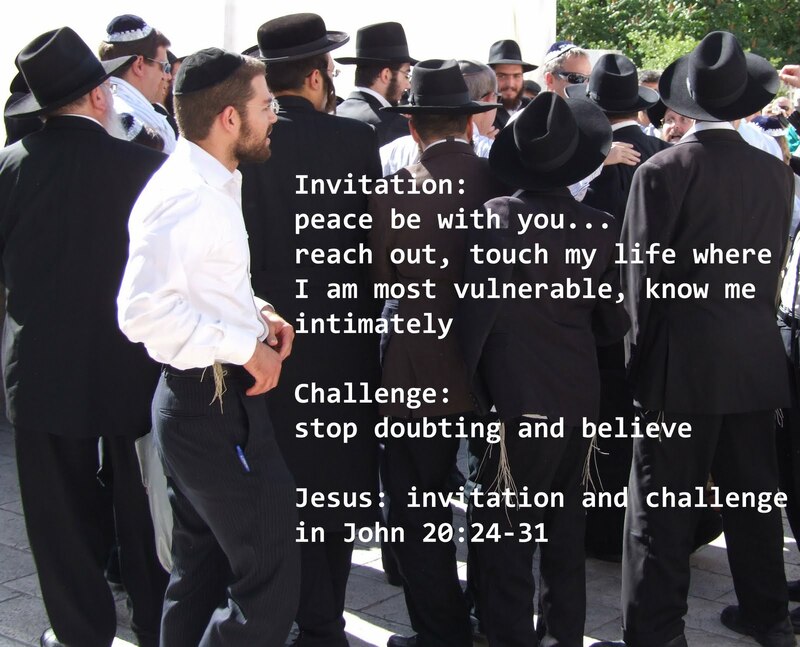 IN – am I learning how to extend invitation and challenge to others? do I take on the discipline of making myself appropriately vulnerable to others, and have I defined my own boundaries well? do I take on the discipline of confrontation? OUT – is my group welcoming? do the members have a clear shared vision? am I able to identify potential new leaders and multiply the group? UP – am I choosing to make time to spend with God each day? 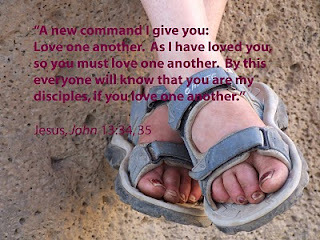 IN - am I growing in my commitment to the other people in the group I have joined? am I trustworthy? how easy is it for me to trust others? OUT – am I sharing my faith with others? UP – am I discovering ways to express my relationship with God that are appropriate to my God-given personality and the season of life I am currently in? 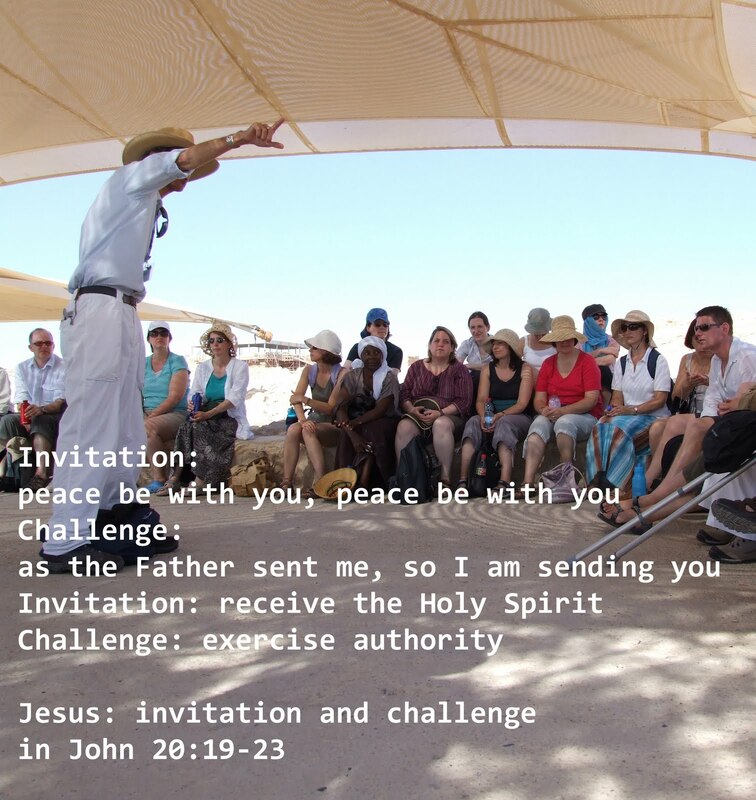 IN – how do I respond to invitation extended to me by the group leader? How to I respond to challenge extended to me by the group leader? OUT – can I identify at least one person who is open to me and to the good news I have to share? In a number of contexts recently I have observed a fundamental misconception among many church leaders: that many of those presented as having something worth sharing in regard to leading churches are theorists rather than practitioners, and that only the experience of a practitioner – i.e. someone who is doing what I am doing, perhaps better – is really worth engaging with. If you coach others as leaders, you have to step back from micro-management. This does NOT make you a theorist rather than a practitioner (the misconception, which allows us to dismiss such people’s insights); it means you are now a practitioner at a different level. A friend of mine has changed their facebook relationship status from single to in a relationship. Among the list of congratulatory comments, several of her friends are asking for the details. I am genuinely pleased for her, but feel no need to know any details, until such time as she is ready to put them out there. New relationships need safe space, if they are to have a fighting chance. But we have all become celebrity gossip hacks now. Unless I should take the high moral ground, just the other day another friend posted that they are moving continent in six weeks time. And immediately I messaged them to ask, where are you moving to? We are all celebrity gossip hacks now, wanting all the latest news as it happens. Now, some people use facebook status as a means to fish for such a response. Pity me’s. Attention-seekers. But facebook is primarily a network of weak ties – people we don’t see face-to-face or talk to on the phone on a regular basis. Some of our facebook friends are acquaintances, or even friends (or acquaintances) of friends. Some are really close friends, for whom facebook simply reinforces other connections between us. But the majority are weak ties: genuine, but not close, friends. And weak ties are really important, because they widen the circle of contacts and possibilities of sharing skills and information available to us: Moving to Coffeeville? Looking for a church there? Check out St Arbucks – I was at college with the curate there, and can recommend them. It is entirely appropriate that news filters out. That there are things that we want all of our weak ties to know...but they don’t need to know everything, yet. In fact, in some cases, for them to know everything at once is unhelpful. There is a balance. Take pregnancy, for example: a history of miscarriage causes people to announce that they are going to have a baby later than before...which makes sense – it is hard to send out news that retracts previous news, and even more so when you can’t guarantee that everyone who got the news will get the retraction - and yet, in this instance, it would seem all the more important to tell close friends early, so they can pray for protection. Hopefully we have close friends with whom we are able to share our news more fully, or at least earlier, than we do with our weak tie relationships. And yet, weak tie relationships are important, too. It is right that we keep those friends in touch with the developments in our lives; and it is right that those of us hearing the news understand how to respond: allowing our friend to put out news at their own pace...saying ‘no’ to the pressure to be celebrity gossip hacks now. For the first time in British political election history, the leaders of the three largest parties will face each other in three live, televised debates, to be aired on three different channels on three successive Thursdays, starting tonight. The real question at stake here is not which political leader comes across as having the best policies – television has never been the medium for in-depth presentation - or the most integrity, or even the best televisual presence – the easy manner, the scripted-but-delivered-as-if-off-the-cuff soundbite. The real question is, which channel will come across better than its competitors – ITV, Sky, or the BBC? Given that ITV’s strength has always been fictional drama, and the BBC’s strength has always been to inform, educate and entertain...ITV should be confident that they have a slight edge. Another related example of rapid and discontinuous change is the reversal of the child and parent roles within the family. Taking on the responsibilities of adulthood has been deferred for longer and longer over recent generations. In part, this is due to a steady continuous growth of print as the dominant means of communication: the learning of adult, professional skills through complex abstract information takes longer than ever before. In part, it is also due to a steady and continuous growth of affluence, which has made possible the deferral of employment until these skills are mastered. However, this has reached something of a tipping-point, into, on the one hand, a fear on the part of biological adults to take on adult responsibilities, and, on the other hand, a digital culture where children are more competent than their parents. The result is that children now have unprecedented freedom, and unprecedented absence of boundaries. And at the same time that they are being given unprecedented responsibility for their own actions, children are being asked to take on unprecedented responsibility for the actions of their parents – and, for an increasing number of children, to act as carers for their parents. Again, this is rapid and discontinuous change. And again, it is impacting areas of socioeconomic deprivation as much as areas of socioeconomic affluence. Indeed, in areas where adults have been shut-out of the extended, abstract educational system, and therefore from much employment, children are more likely to spend more time in unsupervised, unstructured freedom, and more likely to be called upon to take on the role of carer. A recent poll suggests that almost 70% of the population believe that teenagers have too much freedom. The polled sample includes a proportional percentage of teenagers, and parents of teenagers. And this, then, is the issue: that people locate the problem ‘out there’ beyond their ability to influence change, to do anything about it other than resign themselves to accepting the world as it is. In the face of rapid and discontinuous change, people feel helpless, because they are not equipped to navigate through this new world. There will, however, always be a few who have reached such a kairos that they cannot simply carry on as before. 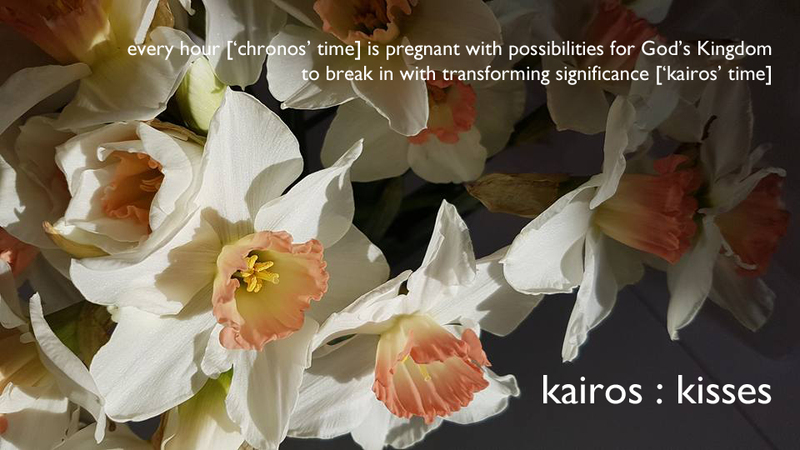 As with the two fathers at the end of my previous post, one man’s kairos – an event that interrupts time - is another man’s mere chronos – an event in ordinary time, of no more significance than the thousands of other events of our daily lives. Some hear the call to repent and believe; the ears of many have been made deaf. We need to learn to spot the few, in the crowd; and, while doing what we can for the crowd, focus our time on equipping the few. We are living in times of rapid and discontinuous change. That is a statement that I live with, a view of the world that is regularly presented in the global conversation about re-imagining church and rebuilding community in western cultures. But sometimes, in a context of socioeconomic deprivation, it can feel like that describes another world – a world where people have too many choices, too many resources; a self-indulgent privileged world. And so the conversations are accused of reflecting a very narrow group within society; of ignoring the reality of life for those locked-in to poverty. We need to recognise that rapid and discontinuous change is as true in contexts of socioeconomic deprivation as it is anywhere else. And we need to recognise that such contexts require a different response to contexts of steady and continuous change. In contexts of steady and continuous change, the primary thing people need to know defaults to being content-driven – “this is how the world is” – and the secondary thing people need to know is the fixed, largely non-transferable skills to live in that world – “this is what you need to do, and this is how to do it.” But in a context of rapid and discontinuous change, the primary thing people need to know is skills-driven - and flexible, highly-transferable skills at that – equipping them to navigate territory that is not only uncharted but shifting all the time. Trying to keep up with rapidly and discontinuously changing content is merely overwhelming; teaching fixed, non-transferable skills that are immediately outdated is, ironically, disempowering. Here is an example of rapid and discontinuous change in the context of north Liverpool, highlighted in a recent edition of the BBCs current-affairs programme Panorama. Alder Hey, the largest and busiest children’s hospital in western Europe, is seeing a massive drain on resources as a result of having to address entirely preventable childhood conditions, such as extreme tooth decay, an obesity epidemic, deafness through glue-ear aggravated (not caused) by parental smoking, and alcohol abuse. This change is rapid – and gaining momentum all the time. And it is discontinuous: for generations, the general health of the population has slowly improved; developments in medicine have effectively addressed many of the illnesses responsible for childhood mortality; life-expectancy has increased; and now, for the first time ever, and in a very short timescale, we are facing the very real likelihood of a generation of adults who will routinely die before their parents. The frustration for medics is that these conditions are entirely preventable, and that the need to address them draws heavily on resources that could be spent on better addressing unpreventable conditions. Panorama followed several children over several months. In almost every case, the parents denied that their actions – e.g. the possibility that they might be over-feeding their children; the effect of their smoking – were in any way responsible for their child’s condition. In fact, there was point-blank refusal to accept any responsibility. In many cases, responsibility was shifted ‘out there’ or onto the child – “I am a good parent, but I can’t be with my child 24 hours a day, and I have no control over what happens when I am not with them...” No, I can’t be with my child 24/7, but I can equip them to navigate the world in which they live, not least by instilling self-discipline, or I can fail to do so. What was interesting to watch was that the doctors, and the journalists, were encouraging parents to do what Jesus calls repent and believe, or, recognise that a particular aspect of how you live your life is not working – does not result in life in its fullness – and identify and make the necessary changes to live life better. That is, the situation they found themselves in with their children at the hospital was presented to them as a ‘kairos’ opportunity, an event which interrupts their world and causes time to stand still. In response, they were encouraged to repent: to observe the situation; to reflect on why this had come about; to be open to the input of others, in discussion that informs our own lack of understanding. And then to believe differently: to put in place a plan for change; to identify the accountability structure that would support them to live out their plan; and to act out their new understanding of life. These are flexible, highly-transferable skills. What was encouraging was to see some parents respond positively to this. One father, shown how his smoking impacted his son’s hearing, decided to stop smoking. Obviously this is no easy matter, demonstrating the necessity of putting in place accountability (I know no communities that hold one another so accountable as those I know going through AA or NA). What was discouraging was to see parents so blinded that they could not respond. One father claimed that there was no proof that his smoking had anything to do with his son’s hearing loss, and maintained instead that doctors along with the government have simply decided to mount a vendetta against smokers. I am struck by the way in which Jesus repeatedly extends invitation and challenge in the accounts of his post-resurrection encounters recorded in the last two chapters of the gospel According To John. In this regard there is absolute continuity with Jesus’ previous ministry, but these cameos are beautiful case-studies of his approach to discipleship. 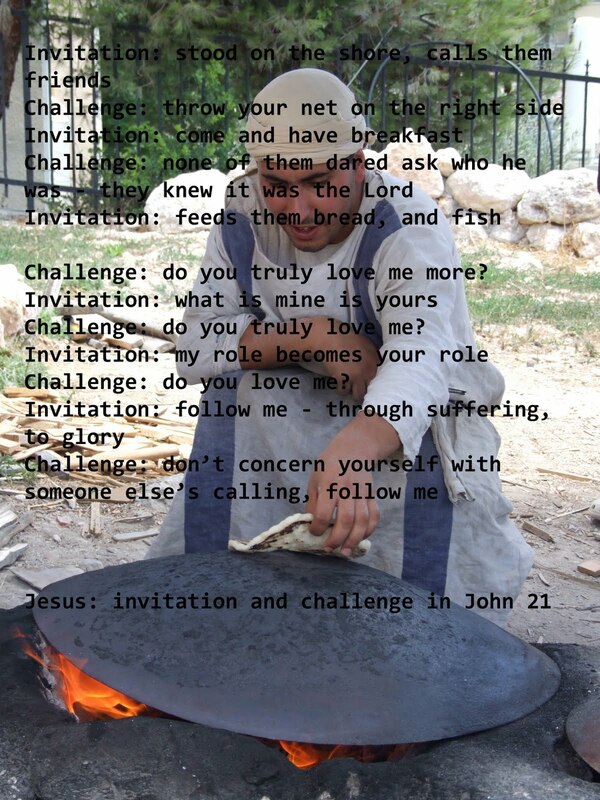 Jesus extends invitation, and challenge. By invitation, I mean that he opens himself up to others, makes himself vulnerable, and invites people to know him and be known by him. By challenge, I mean that his life inspires others to change the direction in which they are heading. 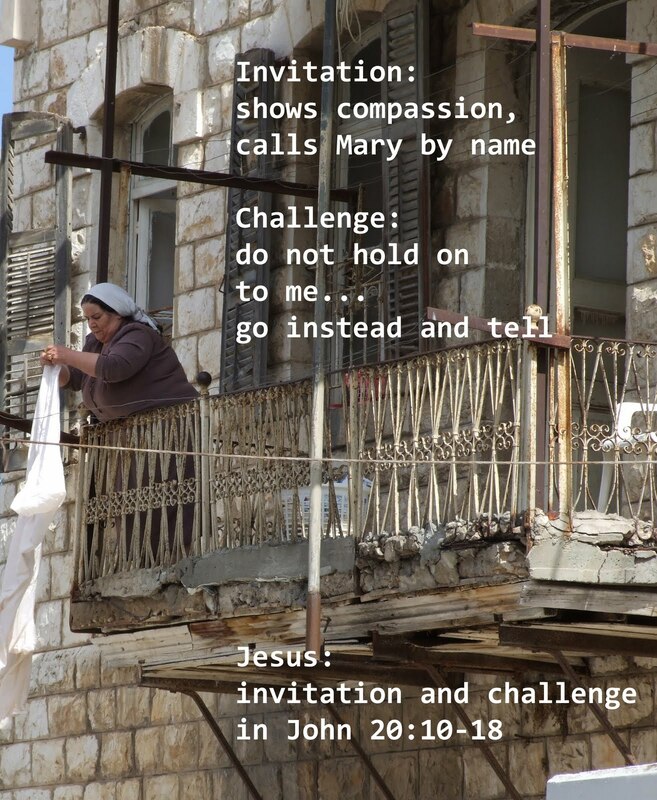 Jesus demonstrates that invitation and challenge, working together, are key to discipleship. If we hold out invitation and challenge in equal measure, those we lead are empowered as disciples, to live as Jesus lived; to make disciples who can, in turn, make disciples. If we hold out high challenge with low invitation – if we set out an agenda for change, but don’t open our lives as model – the result is that those we lead will, sooner or later, experience discouragement. If we hold out high invitation with low challenge – the stereotypical caricature of a sympathetic but ineffectual pastor – the result is that those we lead will, sooner or later, settle into a cosy, defensive group. Note that in churches where there is high challenge with low invitation, those who feel discouraged but lack the motivation to leave are likely to create environments (such as fellowship groups) of high invitation and low challenge as a counter-balance: however, far from addressing the problem, this only compounds it. If we hold out neither invitation nor challenge, the result is that those we lead will, sooner or later, experience boredom and settle into apathy. 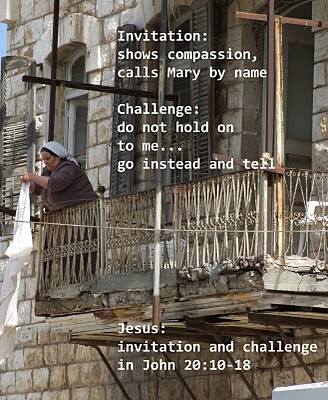 Over the following four posts I will take a look at the invitations and challenges Jesus holds out to Mary Magdalene, the disciples, Thomas, and Simon Peter. These images make up, in effect, my Stations of the Resurrection. In 1439, something happened that changed the world forever: a German goldsmith and printer, Johannes Gutenberg, invented the moveable type printing press. But books were not yet household items. In 1611, King James had a Bible produced. Printing had moved on. Bibles could be mass-produced, small enough and affordable enough for the home. The King James Version was so influential, it is still printed and widely available today, four hundred years later. Bibles have become smaller and cheaper ever since. And as a result, it is almost impossible for us to see, to hear, to enter-into, the resurrection. And these things are all important, these reflections are true. But in throwing light on the resurrection, they also blind us to the event. They blind us to the experience of the disciples, meeting the resurrected Jesus in strange and disturbing encounters they have not yet looked back on. 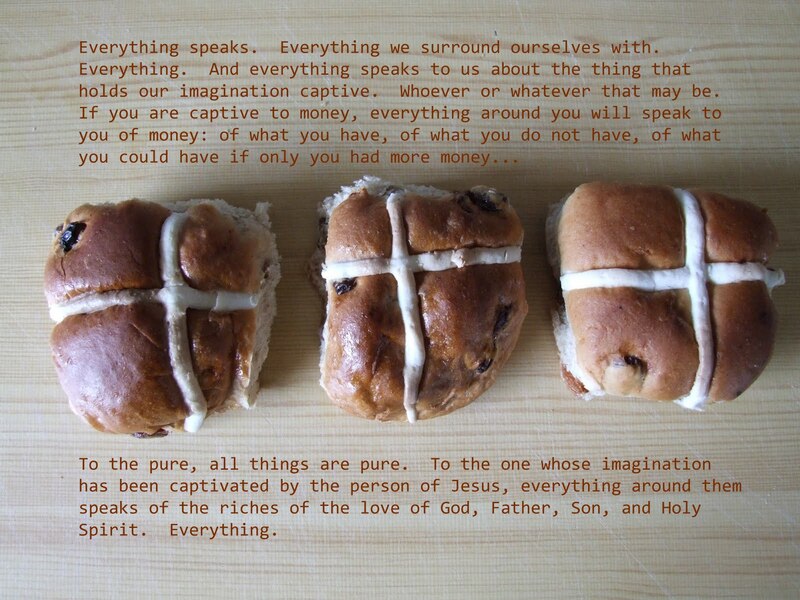 Instead, we are (too often) forced to celebrate Easter, in all its fullness, in one day. And in so doing – by insisting on uniform, triumphant celebration - we violate those among us who are in the middle of great loss, and who just need to encounter the risen Lord in that place, nothing more, nothing less. In her wisdom, and led by the Holy Spirit, the Church decided that Easter deserves to be not a day but a season – a season that lasts for seven Sundays. 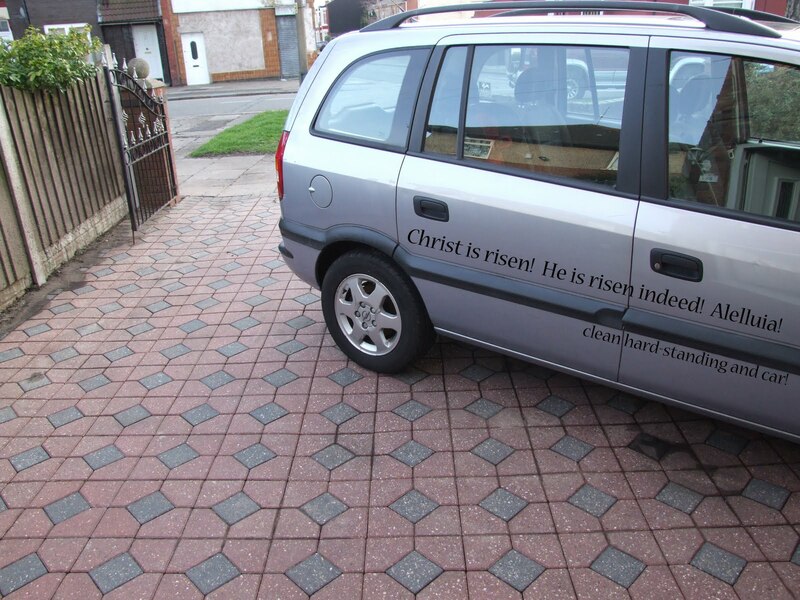 To ‘do’ Easter in a day, and then move on again, is to not grasp its significance at all. But Easter as a season gives us space to look back, to reflect deeply, with Paul and Peter and a much-older-than-he-was-then John...and space to not have to begin there, but to let the reality of the resurrection gradually dawn on us, its incomparable consequences grow in us over time. If you didn’t make the Maundy Thursday service at St Andrew’s, here’s a taste of what you missed – ‘click’ on the images to enlarge. As part of our service of Holy Communion this evening, there will be the opportunity to move round five prayer stations, based on the elements of a Passover meal. We will move around the first four individually or as families, and then gather together for Communion. at the table, dip a sprig of parsley in the salt water, and eat it: this represents our tears. Spend some time in confession. You might choose to use the words provided there. at the table, taste the horseradish: this represents the bitterness of slavery. Spend some time in intercession, praying for the needs of the world, those held in slavery to sin and fear, asking that they, too, might be set free. Please note: contains meat, and gluten. The lamb is an important symbol. We hope that you will still be able to engage with that symbol, even if you are unable to eat it. at the table, taste some haroset (paste of ground apples, nuts and honey): this represents hope. Spend some time reflecting on the promises of Scripture, a few of which will be written out there. You might choose to add promises God has spoken to you through his written word, on the paper provided. Please return to your seat, in preparation to receive Communion together. at the table, we will share in the unleavened bread – reminder that God’s people had to go out from slavery in haste – and the cup of thanksgiving for God’s salvation. Please note that the unleavened bread is not gluten-free; a gluten-free alternative is provided, if requested. Please also note that the wine is non-alcoholic.